Thanks to healthier lifestyles and remarkable developments in medical care and treatment, life expectancy has increased enormously over the past forty years or so. People are living active lives for longer than ever before and a telegram from the queen on reaching your hundredth birthday is no longer the achievement it once was. Unfortunately, attitudes to age and older people have not kept pace with these rapid changes in society. For example, it is still common for people to be considered “old” when reaching the age of fifty. Yet for many of us, that means being “old” for virtually half our lifetimes! As humans, we have a strong tendency to hold unconscious beliefs about various social and identity groups. These biases are influenced by our background, cultural environment and personal experiences. Many of us are involved with organisations that directly, or indirectly, interact with other people. Whether we are delivering services, designing products or managing staff, we will be operating from those unconscious assumptions we just acknowledged. What effects could this have on your organisation, your customers or service users? Does it make sense to view “older people” as a homogenous group? On the conscious level, when we think about it, it is pretty obvious that “older people” will be a varied and diverse array of individuals with different lifestyles, life-chances, motivations and responsibilities. However, large sections of society continue to ignore the varied knowledge and experiences of the older generation, keeping instead to a stereotypical depiction of an older person. Age UK London’s Age Allies Programme is offering free workshops to organisations and businesses to help create positive changes in their attitude and behaviour towards older people. 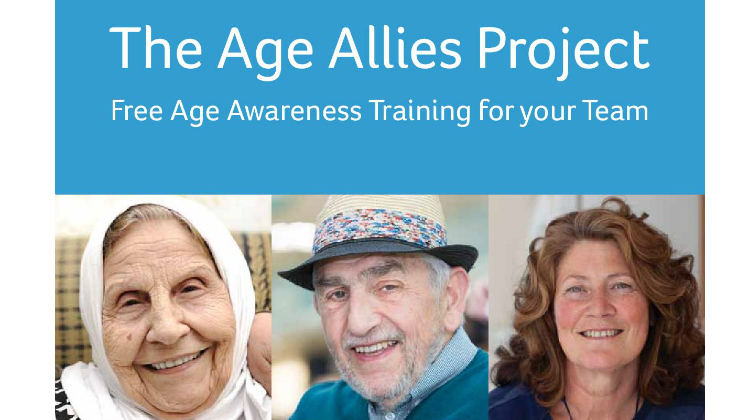 The Age Allies Programme is a unique opportunity to develop age awareness within your team. The results have the potential to influence service and product design and delivery and can have real and positive impacts on operational effectiveness and performance. Participants leave our workshops with a greater awareness of themselves in relation to older customers and service users, and with a personal way forward. The workshop format has been developed with a small group of older volunteers who also act as co-facilitators. Using a series of interactive exercises, they have been designed in such a way as to be effective across sectors and business types. They are not just for customer service workers – they are relevant to staff in all roles and at all levels. Frances is 75 and very active in the Age Allies programme. She has a wealth of experience of the effects of people’s attitudes towards older people both personally and as a carer for her husband. “It’s as if I am invisible” She says as she describes how younger people push in front of her in queues. The workshop uses a series of interactive exercises to raise awareness of age and attitudes about older people. We hear directly from older people about their own experience and begin to understand the consequences of attitudes and language. We move through a process of identifying the current situation and our own unconscious assumptions, through establishing a way forward for individuals and your organization, to an invitation to commit to making personal change. Age UK are delivering FREE half-day workshops to businesses and organisations all across London. 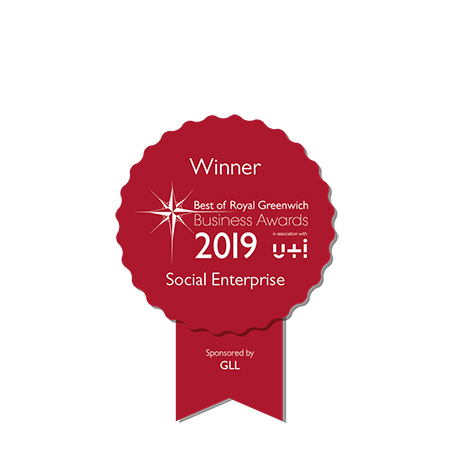 If you would like to find out more about the workshops and discuss the benefits for your organisation, please get in touch. Hey, maybe you want to jump straight in and book a workshop today!